Our highly trained and dedicated staff provide assistance and support 24 hours a day for people with an extensive range of health needs including specialist care such as Parkinson’s, Huntington’s disease or multiple sclerosis. We also provide Palliative care focusing on maintaining a person’s quality of life by relieving discomfort or distress. Our nurses and carers will provide high quality care to every resident in a thoughtful and courteous manner. 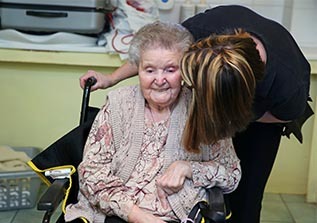 We provide a safe and caring environment where all our staff are specifically trained to be able to manage the changing needs of our residents. Individual needs and preferences are always recognised and included into detailed care plans reflecting the needs and wishes of each resident. 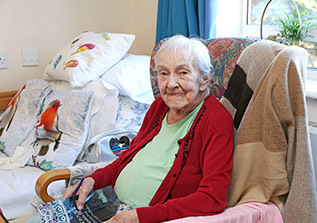 Respite, or short stay care is designed for residents who need assistance and support for a period of convalescence after an operation, accident or illness, or because the resident’s usual carer is on holiday or a short break. We provide respite care for residents requiring residential or nursing care. Each respite resident receives the same high standards of care as our longer term residents. We make special effort to ensure all our residents, respite and long term, feel welcomed and valued.